Photo gallery for Dromaius novaehollandiae, the scientific name for the Emu bird. 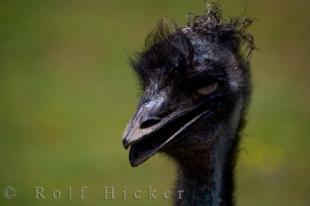 A head picture of the Emu at the Auckland Zoo in New Zealand, making this bird appear as being rather strange looking. 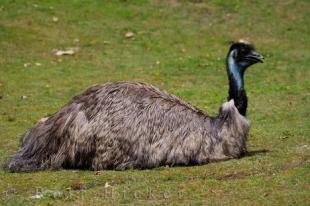 An emu relaxes in his habitat at the Auckland Zoo on the North Island of New Zealand.